How To Keep Your Site And Staff Secure. As well as giving customers a good first impression, criminals know that a well-maintained site is more likely to be secure, so look after the appearance of your premises. Make sure that perimeter fences or walls are completely secure and carry out regular checks to identify weak areas. Make sure that all areas outside a building are well-lit. Security signs, such as ‘no cash held on the premises’ are a cost effective way of deterring criminals. Any gates, doors and other entrances where frequent access is not needed should be well secured at all times. Introduce procedures to check the identity of any visitors or people making deliveries, such as visitor books and name badges. 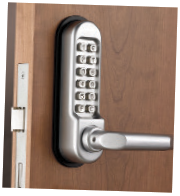 Control access to different areas of the business by using digital locks to secure confidential information or valuable equipment. so that all personal property can be kept out of sight and locked away. Always store keys in a secure key cabinet. In addition to the Health And Safety At Work Act (1974), here is a reminder of the key safety and security legislation for your workplace. Fire – The Regulatory Reform (Fire Safety) Order 2005 are the guidelines that employers need to comply with. These regulations require businesses to undertake their own risk assessments and implement the correct equipment needed in case of fire in their premises. First Aid – The BSI have recently introduced new standards for first aid kits and the HSE have recently implemented new guidelines for the First Aid training providers. Hazardous Substances – Storage of potentially hazardous substances should conform to guidelines covered by the Control Of Substances Hazardous To Health Regulations (COSHH). PPE – The Personal Protective Equipment At Work Regulations 1992 require employers to provide PPE to their employees if the risk cannot be controlled in any other way. More legislation can be found at slingsby.com/healthandsafety. ...Looking After Your Lone Workers Is A Legal Requirement? Involving workers when considering potential risks and measures to control them. Taking steps to ensure risks are removed where possible, or putting in place control measures, e.g. carefully selecting work equipment to ensure the worker is able to perform the required tasks in safety. Security is a key issue for workplaces and can cover a whole range of areas from violent behaviour towards staff through to vandalism. In addition, workplaces now face a constant battle to protect their property from criminals, because a lot of businesses are seen as easy targets by burglars. As a result workplaces have to find a balance between being easily accessible to customers and visitors while maintaining a secure environment. It’s also important that employers achieve this without alienating employees and invading their privacy, so while installing CCTV in every area of a building and recruiting an army of security guards might seem like a good idea, it could have a negative effect on staff morale. Most large organisations will usually have a dedicated security team and although it might not be cost-effective for smaller workplaces to employ such personnel, they should still have someone who is responsible for overseeing security issues and can act as a security contact on behalf of the business. 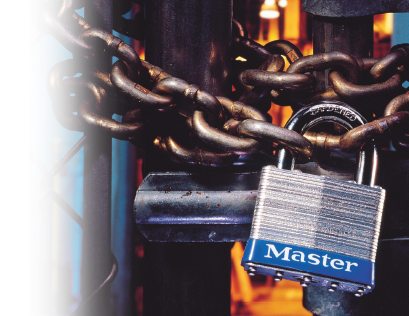 In most cases those responsible for security should work closely with the health and safety function in order to promote best practice, protect property and employees as well as discouraging the misuse of an organisation’s assets.